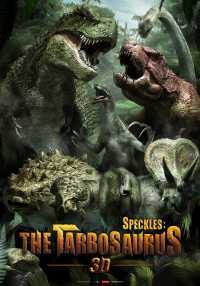 Speckles the Tarbosaurus (3D: Jumbagi: Hanbandoui gongryong) is a 2012 South Korean computer-generated epic adventure drama film directed by Han Sang-Ho. The film was released under the title The Dino King in the United States. The Dino King was released alongside a documentary that serves as prequel, Tarbosaurus: The Mightiest Ever, and is followed by Dino King 3D: Journey to Fire Mountain, both also being directed by Han Sang-Ho.